Shearing is a huge event in the calendar for any sheep farmer, and it’s no different here at Fernhill Farm. We’re looking forward to our Spring Shearing Tournament, and wanted to share a little more about the process. We’ve postponed the beginning of our spring shearing because of the current very low temperatures – the sheep need their wool to protect them from the Beast from the East! 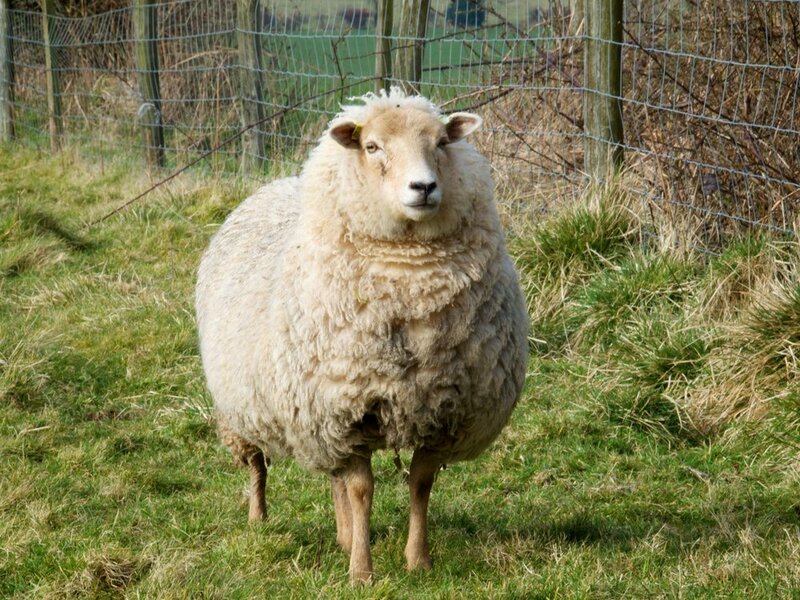 Primitive breeds of sheep shed their fleece naturally, but as humans have selected for quality wool production, most sheep now keep growing their wool until it is removed. Shearing is necessary – usually once a year or more frequently – for the wellbeing of the sheep. Removing much of the wool by shearing prevents sheep from overheating and losing mobility, as overgrown fleeces are thick and cumbersome. Excessively long fleece gets dirty, wet and warm, which can lead to flystrike – a very unpleasant infestation that is worth every effort to prevent. As well as the advantages for the sheep, shearing is of course how we harvest all that lovely wool! Even for breeds that shed their wool, it’s easier to collect all at once it in the shearing sheds rather than running around after it in the fields! There’s no denying that shearing can be a stressful process for both sheep and farmer. But the timing and the method we choose to shear have been carefully considered, not only to reduce any negative impact of shearing on the sheep, but to improve the welfare of the animals and their young. It’s an added bonus that the practices we use also benefit the quality of the wool we produce! What are the benefits of blade shearing? Over many years, electric clippers have increased in popularity as they allow rapid shearing and are easier on the hands than traditional blade shears. However, they remove much more of the fleece, which leaves sheep very exposed. Mechanical shears also generate a lot of heat, which can strip protective lanolin out of the little fleece that’s left on the sheep. Blade shears leave a comfortable layer of wool on the sheep, rich in lanolin. This helps protect them from the elements – both the cold and the sun – especially at important times, such as lambing. Blade shearing is a quieter process that gives more control to the shearer. While it takes a little longer, this extra care is beneficial for the animals and the quality of the fleece that is removed. Why shear twice a year? We blade shear twice a year because we have the Romney and Teeswater (long wool) breeds and this process allows us the flexibility to select which sheep are shorn at what time. In the Spring we shear just after the natural ‘break’ in the fibre, when the new year’s growth begins to come through. For some sheep this is when the fleece will shed naturally, and for others there is a noticeable ‘rise’ – a weak point where the wool is susceptible to breaking. For ewes, shearing before lambing allows us to gather the fleece before it declines in quality as resources go to producing milk. They then lamb outside, clean-fleeced and ready to ‘drop and run’ in a natural, healthier environment. 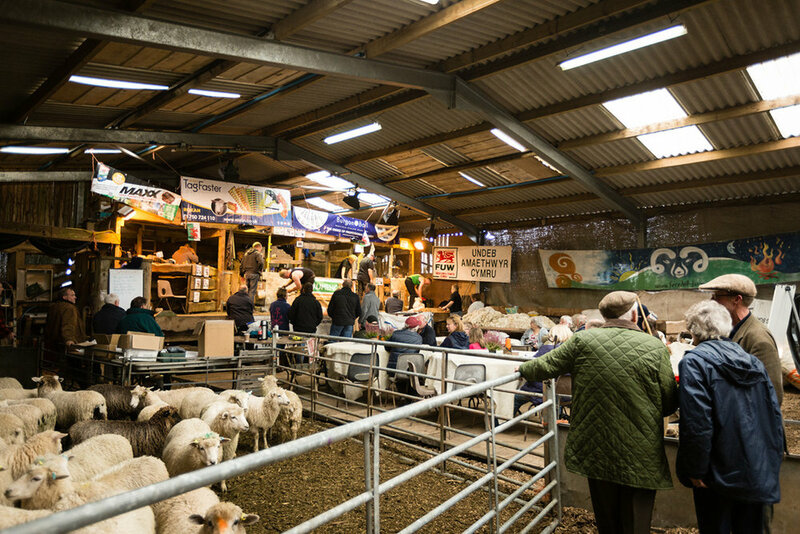 If ewes need to be brought inside for lambing they are much less likely to overheat if they don’t have a full coat of wool on – pregnancy acts as a radiator inside their bodies! Pre-lamb shearing also reduces the stress associated with summer shearing when ewes and lambs traditionally have been separated, and the ewes maternal instincts are reinforced when they seek shelter with their young. Lambs are shorn in Autumn, which gives an abundant crop of beautiful fine, soft wool. Shearing them before winter encourages them to graze the lush summer growth in the pastures, improving their daily live-weight gains. Shorter fleeces can also shake off excessive water so that long wool coats are not dragging around winter mud. Wool can absorb twice its own weight in water and the Romney long wools have been genetically selected by the Kiwis to have their fleece removed every 8 months. All sheep will be shorn every eight to twelve months, depending on its purpose in the flocks. This then predetermines the fleece’s suitability for processing into wool products. Thus we can ensure that we get the best crop of fibre and that the welfare of the sheep is always taken into account. 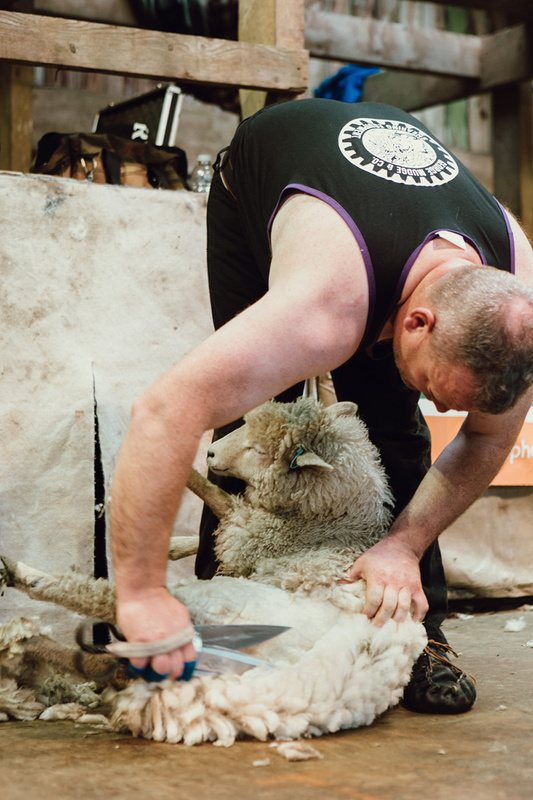 Blade shearing is a rare and valuable skill, and Andy Wear, master shearer of Fernhill Farm, is keen to pass on skills to others. We run workshops on the farm allowing people to come and learn. We’ve included a video below to show what’s involved, and gift vouchers are available on our online shop. 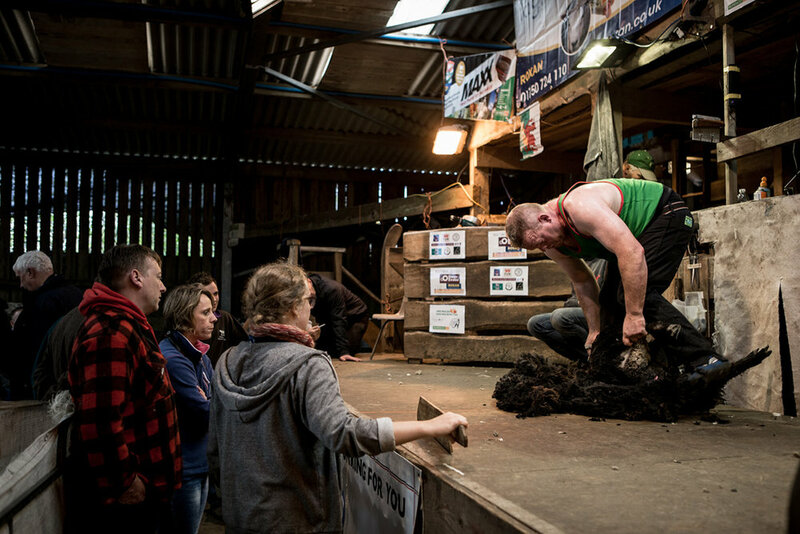 If you’re interested but not quite ready to give it a go yourself, come along to our shearing tournament on Saturday 24th March! We respect your privacy and will not pass on your details to anyone else. Here at Fernhill Fibre we love working with skilled people to create beautiful products with our wool. In a world of fast fashion and enormous, plastic-filled wardrobes, we like to partner up with others who reject the notion of clothes designed to be disposable.